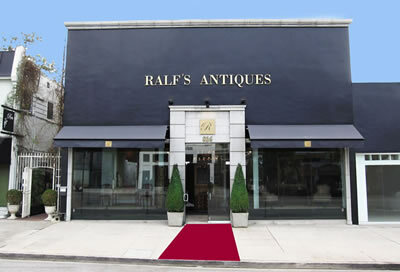 Ralf's Antiques, established in 1969, has been a family-owned business which has been operating in Los Angeles for over thirty years. During this period we have built a foundation of quality and customer service which grows with every item we sell. Originally, we started with a modest inventory of mainly English and French antiques – including furniture and decorative accessories. Over the period of thirty years we have added very fine, early, one of a kind Spanish and Italian antiques, which are now our primary focus as dealers in European antiques. Having a passion for finding the most unique and unusual decorative arts treasures that England and Continental Europe has to offer, Ralf's Antiques has built a reputation that is insurpassed. In recent years we have expanded our Los Angeles based showroom to meet the increased demand for European antiques and fine art. Our inventory now includes well over 2,500 antiques and fine art items which are displayed in our conveniently located 4,000 square foot showroom. 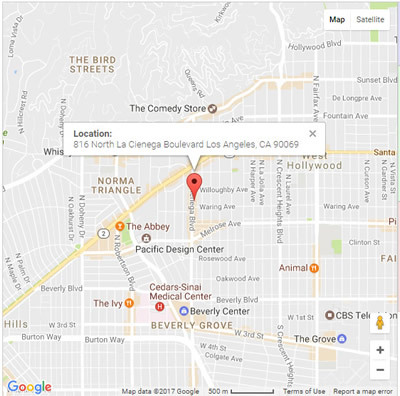 Located in the heart of the West Hollywood design district, our goal has been to bring the finest selection of European antique furniture and 17th, 18th and 19th century fine art to the Los Angeles area. In our attempt to provide the best service and stay in touch with increasing technology, we offer this web site to expand the forum of designers and collectors who have a common interest in the fine and decorative arts.